Another 2-way Panasonic GHP system with the largest Eco-G series GHP unit with 85,0 kW cooling power and another GHP unit generating 71 kW electric power. The system also includes more than 20 indoor units. The system provides cooling during the summer and baseload heating during winter. For peaking heat demand additional gas-fired boilers with 155 kW heating power were installed. The system also features a cost management application, which enables to assess the cost of gas and ellectricity and assign the costs to each of the indoor units. Scope of work: delivery, installation & start-up. First in Poland 2-way GHP Panasonic system of Eco-G series which includes two the biggest available outdoor units. 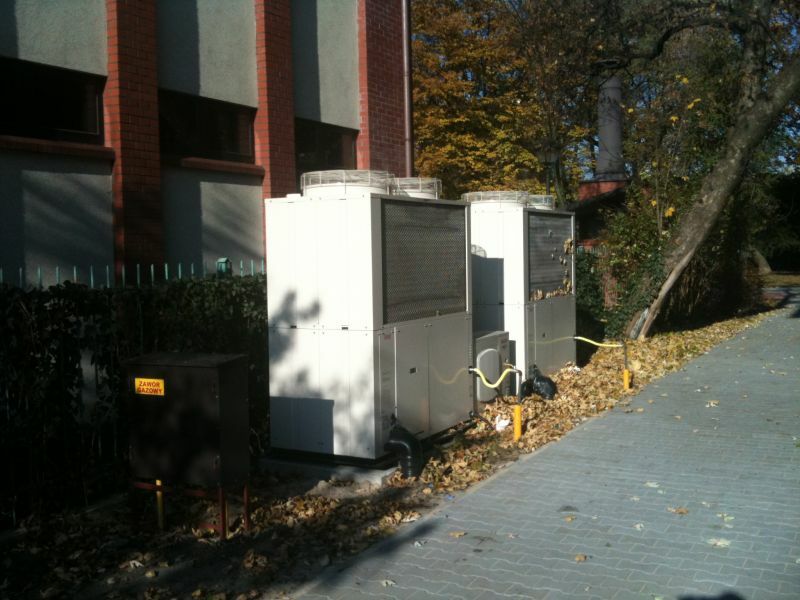 Each external unit has cooling capacity 85,0 kW. Cooling system contains also 65 internal cassette units. 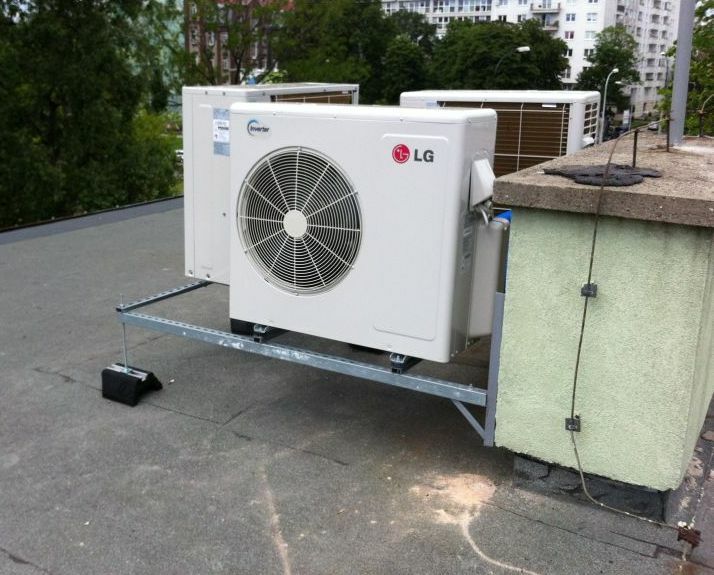 This gas-powered air conditioning system ensures cooling in summer and can be used as a source of heating in winter. There were also used gas boilers with a capacity of 140 kW in the building. What's more, the system will monitor the consumption of gas and electricity of each indoor unit to enable very precise costs estimation. Cooling system was based on Reflok system - making aluminium installation with no brazing and no use of heat. First in Poland 2-way GHP Panasonic Hi Power system with integrated with AHU Bioxigen units equipped with dx heat exchanger and function of electricity production for it's own use, made with no brazing based on the aluminuminstallation. This gas driven air conditioning system ensures cooling in summer and may be used as a basic source of heating during the winter. System is fully integrated with ventilation system in the building. Additionally, in order to optimize the energy costs, the system is equipped with a waste heat from engine which is used for the hot water in the building. Range of work: design, delivery, installation & start-up. Implementation: 2014. 2- way GHP Panasonic system with 56,0 kW cooling capacity. System consist of 17 indoor units. The gas- powered air conditioning system ensures cooling in summer and can be used as a source of heating during the winter. 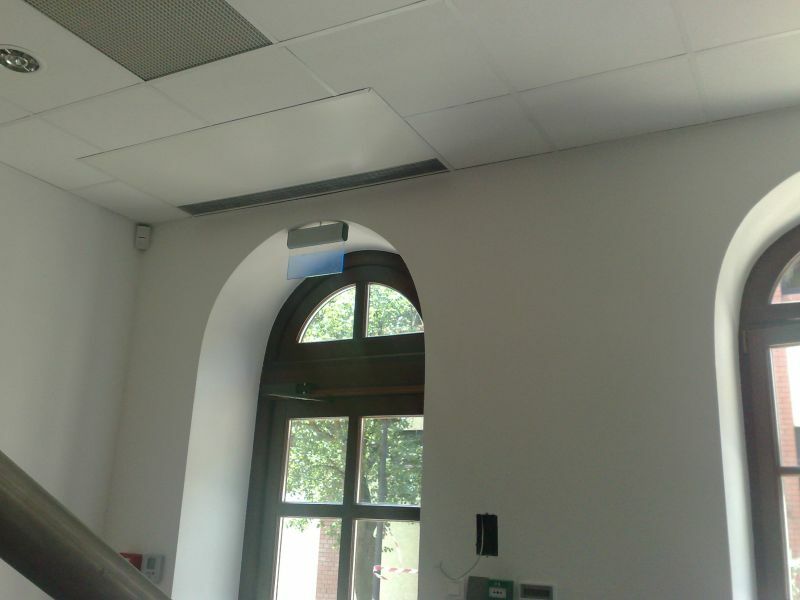 There were also used windows magnetic detectors integrated with air conditioning. Additionally we have installed intelligent controller, which allow to monitor electric energy and gas consumptionon for each indoor unit and for the whole system which can sustainable reduce maintenance costs. Piping was based on Reflok alluminium system - that ensured instllation proicess with no brazing and no use of heat. Range of work: delivery, installation & start-up. Implementation: 2014. VRF Panasonic system, has a cooling capacity 56,0 kW. The system consist of 17 indoor units. This electric-power air conditioning system ensures cooling in summer and can be used as an emergency heating during the winter. It is possible, beacuse outdoor unit can work till -25oC ambient temperature with high efficiency. refrigeration system haalled based on Reflok piping system - using aluminium installation with no brazing and no use of heat. Scope of work: design, delivery, installation & start-up. 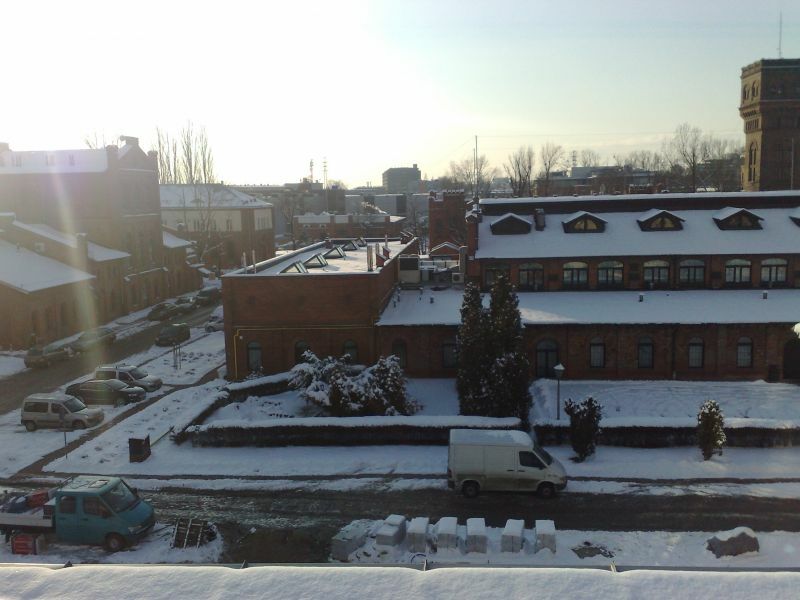 Second in Poland Panasonic RENEWAL System - We have replaced the old R22 VRF system for new R410A using existing refrigerant pipeline. We have thoroughly diagnosed the existing installation. We have totally flushed the whole installation and we have recovered approx 4 L of old acidic oil. Additionally we have adjusted and upgraded existing control system. These acions allowed for significant decrease operating costs of the cooling and heating system in the buliding in comparison to the old existing system working at R22. Rage of work: design, delivery, installation & start-up. Implementation: 2014. First in the world 2-way GHP Panasonic Hi Power system with the function of electricity production for it's own use, made with no brazing based on the aluminuminstallation. For even lower running costs ventilation and air conditioning system is integrated with closing and opening windows in the building. What's more, the system will monitor the consumption of gas and electricity of each indoor unit to enable very precise costs estimation. 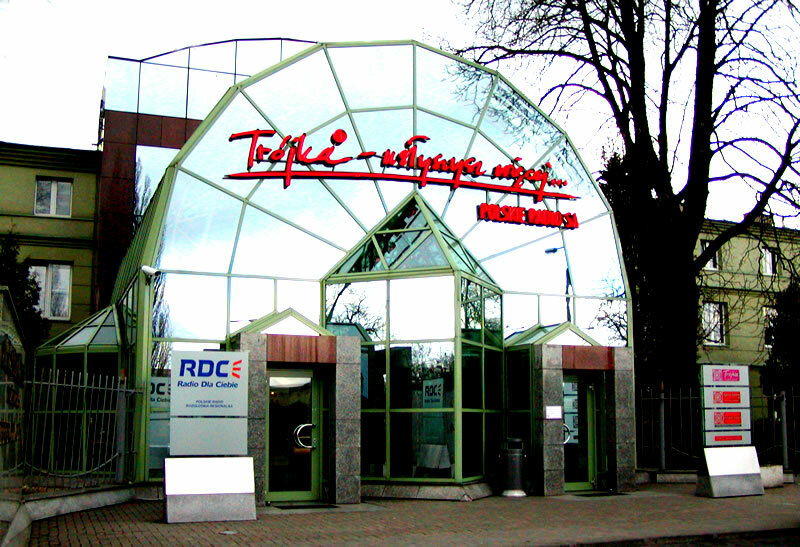 The first in Poland System RENEWAL - We have replaced the old R22 VRF system for new R410 A using existing refrigerant pipeline. We have thoroughly diagnosed the existing installation. We have totally flushed the whole installation and we have recovered approx 5 L of old acidic oil. Additionally we have adjusted and upgraded existing control system. these actions allowed for significant decrease up to 71% of operating costs of the cooling and heating system in the building in comparison to the old existing system working at R22. Air Conditioners have attractive and modern design and new funcionality setup on light up wired remote controllers. Range of work: delivery, installation & start-up. Implementation: 2012. First in the world GHP 3 way system with simultaneous heating and cooling operation installed with aluminum installation without brazing. In this building GHP is basic source for heating and cooling. Range of work: delivery, installation & start-up. Implementation: 1st stage - 2011, 2nd stage 2013. First in the world GHP-Multi System made with aluminum technology without brazing. The GHP System is the main source for cooling & heating in the building. 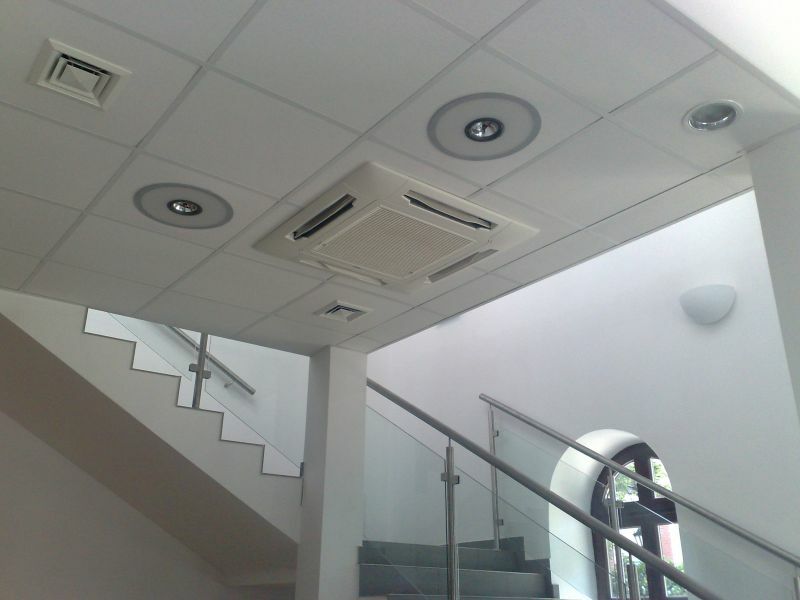 Additionally the Air conditioning system is fully integrated with ventilation system in the building. Range of work: design, delivery, installation & start-up. Implementation: 2012. The GHP System is the source for cooling & heating in the building. Gas Heat Pump powered by natural gas. Moreover installation of waste heat recovery have been made. Range of work: design, delivery, installation & start-up. Implementation: 2011. First in Europe VRF system made with no brazing based on the aluminum installation. 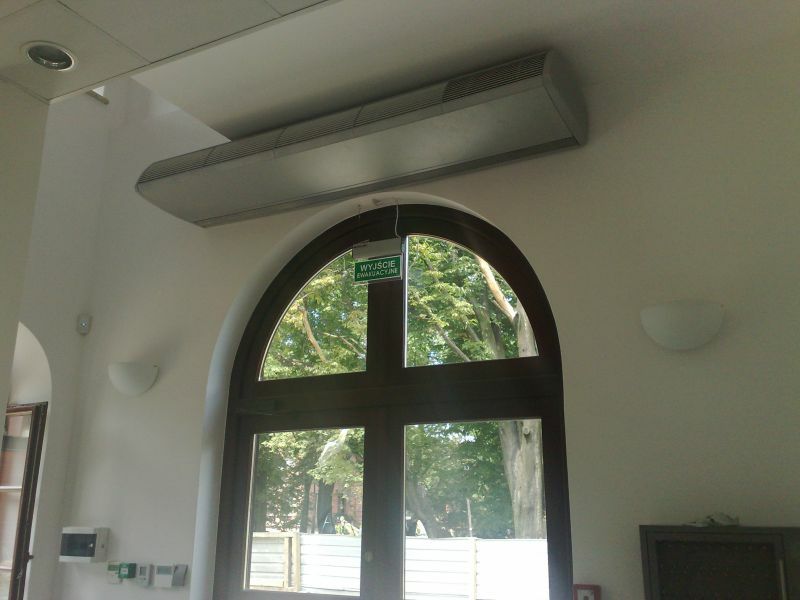 This air conditioning system ensures cooling in summer and heating in winter. Range of work: delivery, installation & start-up. Implementation: 2011. The GHP System is the main source for cooling & heating in the building. Gas Heat Pump powered by natural gas. GHP 3-way system with simultaneous heating and cooling operation. Range of work: installation & start-up. Implementation: 2009. Outdoor GHP unit with function of electricity production. The GHP system is the basic source for cooling & heating in the building. Gas Heat Pump powered by natural gas. Range of work: start-up. Implementation: 2008. Range of work: installation & start-up. Implementation: 2008. The GHP System is the source for cooling & heating in the building. Gas Heat Pump powered by natural gas. Range of work: installation & start-up. Implementation: 1st stage - 2007, 2nd stage - 2008. Range of work: installation & start-up. Implementation: 2007. 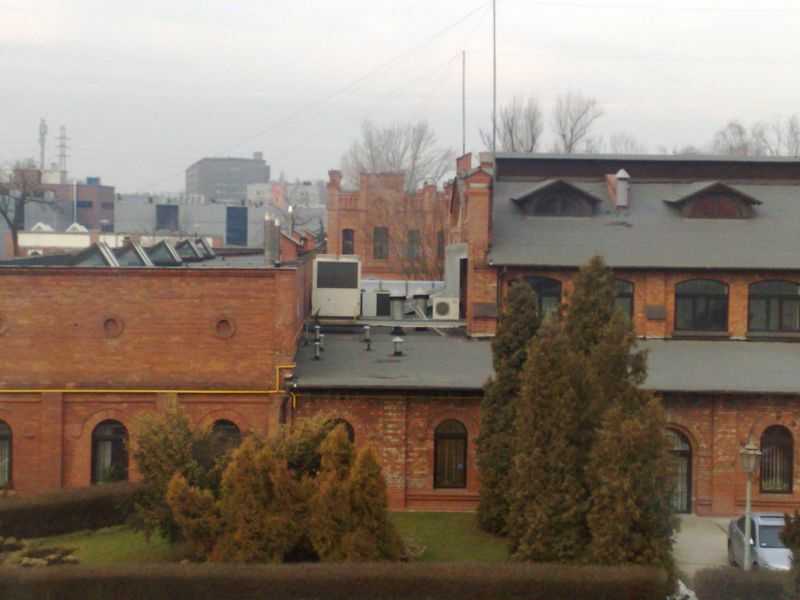 First GHP system in Poland. Range of work: installation & start-up. Implementation: 2006.